The song may get you to Amarillo by morning but American Airlines takes a little bit longer. It is worth waiting for, though, especially this week when the National Ranch Rodeo Championships come to town. 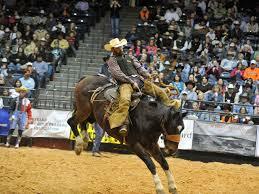 These aren't the bull riders with glitzy chaps you see on TV or the rodeo competitors on the professional circuit. These are the guys and gals who wrangle steers, bulls and heifers; break broncs, train horses to cut and rope outside of the arena. On ranches from Kitsap County to Kissimmee. Rodeo was inspired by the skills necessary to do their jobs and once a year ranchers and cowhands gather to see who among them does it best. This is what attracted the Good Girls to Amarillo but when we learned about the American Quarter Horse Hall of Fame and Museum, beautiful Palo Duro Canyon, the cowgirls running the top-rated riding outfitter in the West and of course that famous Big Texan Steak Ranch and its 72-oz steak dinner challenge, it had ROAD TRIP! written all over it. There's a symphony too! So flying west and cowboying up we go. 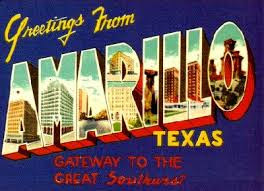 #Amarillosonmymind has us in its grasp so read and ride along.